Revenge is a relatively new television show that has done well in the ratings. There is intrigue, nice settings and a top cast. Revenge is also something that turns up quite often in movies and literature. Plenty of people dream of ‘getting even’ with past wrong doers. Some people even make plans on how to ‘get even’ and eventually carry them out. The thing about ‘getting even’, though is that no one really succeeds in doing so. Usually by the time the persecuted are able to rise up and strike back the playing field has changed. Someone who was utterly horrid in their youth might have a change of heart and become a much better human being. You could get revenge on them for past misdeeds but the person you really want revenge on is them the way they were back when and not the way they are now. Hell! They may not even remember all the misdeeds of their past and be sorry if they really had committed them. Striking back soon after the offense has bee made would seem to be the best way to go but for many people this just isn’t possible. In a playground near Dubbo in NSW some years ago, I stopped a fight between two boys in their early teens. One was the class bully who was outraged that this skinny kid he’d been picking on most of the year wanted to fight back. He was a dumb S.O.B and, if I’d been anything but an adult at the time, I’d have liked to have thumped him but good in place of the other weaker looking kid. I hate bullies, especially sports freak bullies. Meanwhile the skinny kid was on a kamikaze mission. Things had gotten so bad for him that he didn’t care if he got beat to death just so long as he got a few good punches in. It was the skinny kid who had started the ruckus. He’d snapped from past abuse and his mind was set on what he had to do. I believe he’d spent the early part of the day working on his courage and his self righteous anger. If might truly had anything to do with being in the right I wouldn’t have intervened. As things stood, I had to prevent the skinny one from getting hurt. I don’t know if I did him any favors by doing so. I don’t know if the talking to both boys got from the principal penetrated into the head of the bully. Sometimes it is hard to know what to do about bullying. Quite possibly the bully mentioned has already forgotten this incident and the others he was primarily responsible for. Hopefully the desire for revenge doesn’t continue to haunt the skinny kid. It is difficult to know where bullying begins and where it ends. The same can be said for revenge. In the movie The Breakfast Club (1985), a former jock gets his high school jock son to pick on a smart kid because he still hates high school smart kids. The son doesn’t want to do this and only does it to please his dad. Then he has regrets about picking on someone who could be his friend for reasons that don’t make a lot of sense to him. In the end the jock and the smart kid make peace with one another. Thus this particular chain of hatred is broken and the desire the smart kid might have for revenge against the young jock is also broken. An old saying has it that the person seeking revenge had best dig two graves. There’s something in this. Revenge can consume one’s life to where, once the deed is done, there’s nothing to go on with. It is said that the best revenge you can have against your detractors is to be successful. Even though this is often the tougher option to swallow, it is the best. You may think that once you make it big you’ll look down and scoff at your old enemies. Generally speaking, those who do make it big never go in for the looking down or the scoffing. They have far more important and often far more pleasurable things to occupy their time and their minds with. Those who have helped you get somewhere have got to be, in the end, far more important than someone who was once a bully or a downer. Revenge is a motivating force in many of Agatha Christie’s novels. She took this motive to exceptional heights and lows in Murder on the Orient Express where virtually everyone on the train has revenge as a reason to murder a particular passenger. In the D.C universe, a boy’s parents are killed by a small time hood and that boy, when he grows up, becomes the caped crusader, Batman. Then there’s Marvel Punisher. A man’s family is wiped out by a crime boss and, for his revenge, the man becomes a vigilante, The Punisher. Much like Batman, as a vigilante he spends his days and especially his nights warring on crime. In my novel, Disco Evil, the driving force behind Paul Priestly is revenge on all male and female jocks. When he is made over into a vampire he realizes he can have all the revenge he can handle. Over time, however, Paul begins to understand that such revenge eats away at him till there’s nothing else left and finally ends in his second death. 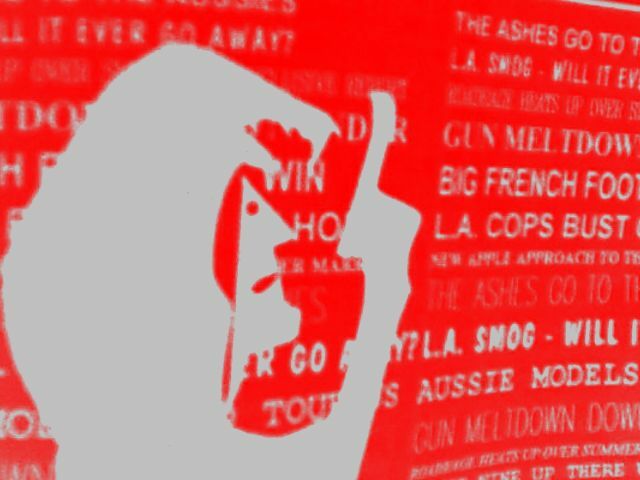 Paul, when he is human, sees the hippy ideal of ‘make love, not war’ perverted by the Sydney disco scene and it is there, as a member of the undead, that he first seeks recompensed in blood. In my novel, Ghost Dance, a young vampire named Petra becomes all too aware of how the desire for revenge on the Germans by the English and French after the First World War inevitably led to the Second World War. She is also aware that love, even hope, can change the present and make for a better future. In my latest work, Desk Job, the seekers of revenge on past sexists and racists only manage to create new forms of sexism and racism. The idea that everyone should be equal is there but the practice is that some people are more equal than others. Meanwhile, where people are treated in a fair and open manner, work of a higher standard does get done and cooperation between various groups isn’t very difficult to achieve after all. When artifacts from Ancient Egypt turn up at at major city in Australia, such as Melbourne, Sydney or Canberra there is always great excitement. It seems as if there has always been a lot of interest in things ancient and Egyptian. Ancient Greek travelers made a fuss about Egypt describing it as a place of wonders. They were right on the mark. Then, some time later, the Romans came along and were impressed by what they saw. They also took home with them artifacts they felt said something about power and majesty. For a while Egypt was the bread basket of the Roman Empire. This was so to the extent that if there was a famine in Egypt or the grain ships from Egypt would not sail, then there would be starvation in Rome. Today, in Rome, there are still ancient Egyptian artifacts on display that are left over from the Roman Empire days. Ancient Egypt appears in the Bible and hence has that connection with at least the Christians of the western world. Then there is the alchemy connection and also what Hollywood studios and British studios have made, since the 1930’s, of the possibilities of walking mummies. The notion of ancient evil rising to attack the present world has been the bread and butter of many a writer including American pulp genius of the haunting, H. P. Lovecraft. Everyone loves a good mystery and fiction writers adore a great locale for their fiction. Agatha Christie, for example, made much of Egypt as a backdrop for her murder mystery, Death on the Nile (1937). The present day fascination with Ancient Egypt really began with Napoleon and his scholars wandering through what was then modern Egypt in the 18th and early 19th Century (1788-1801). British warships made the complete conquest of Egypt by the French impossible. In face Napoleon was lucky to get out of Egypt without getting captured by the British. Even so, some spin had to be put on the Egyptian campaign in order to save face but how to go about doing so was the big question. What the campaign lacked in military value it could, to some extent, make up for in scientific and historic value. Hence the craze to know and understand Ancient Egypt swept France in a way it had never done before. Note here that Napoleon adopted the symbol of the bee, thinking it was an Egyptian symbol for power. Later it was discovered that it was actually a symbol for one of the two Egyptian kingdoms. The main treasure of the French Egyptian campaign, the Rosetta stone, fell into the hands of the British and still rests in a museum in London. Even so, this clue as to how to read Egyptian Hieroglyphics first came into French possession after many centuries of either being buried or ignored by the locals, and it was the French who first took the necessary 19th Century steps in figuring out the ancient writings that had puzzled visitors to Egypt for centuries. The British, Germans and Italians took their best shots at working out the meaning of Egyptian Hieroglyphics but it was a Frenchman by the name of Jean-Francois Champollion who eventually succeeded. Also thanks to Champollion and his predecessors, the Louvre in Paris has a fantastic Egyptian wing. Both the French and the British went wild for things Egyptian in the 19th Century much the way the Romans had gone wild for things Egyptian in earlier centuries. The British moved the obelisk known to them as Cleopatra’s needle from Egypt to London. Not to be out done by the British, the French also moved an obelisk they thought of as Cleopatra’s needle from Egypt to Paris. Then there is the obelisk known as Cleopatra’s needle which was moved from Egypt to New York also in the 19th Century. Incidentally, the London obelisk was falsely named Cleopatra’s needle but still stands as an incredibly old and powerful symbol of what the Ancient Egyptians were capable of doing. Moving these giant obelisks without smashing them up was and is considered some feat by the engineers who did so in the 19th Century. Meanwhile Australia wasn’t to be completely left out when it came to obelisks. At the entrance to Hyde Park in Sydney (intersection of Elizabeth St and Bathurst Street) there stands a most unusual but still impressive obelisk. It was modeled on the obelisk the British took to London but the materials used in construction are very much 19th Century and of the country where it was made rather than of ancient Egypt. It is primarily made of sandstone with a bronze pyramid on top. It is also adorned by sphinxes and serpents. It was meant to serve as a sewage vent to eliminate noxious gases from the sewer underneath though it has never fulfilled this function very well. It was first unveiled to the public in 1857 and today it is in need of some maintenance. Even so, it is still a magnificent sight and well worth checking out if you are visiting Sydney. In 1922 the discovery of the burial place of Pharaoh Tutankhamun in Egypt caused a great stir of excitement and new interest in Ancient Egypt. Among the treasures found there was a magnificent golden mask. The discovery coincided with the art deco movement which began in Paris in the 1920s and spread out from there. Ancient Egyptian symbolism and hieroglyphics tended to go well with this new art form. Pyramid designs became popular everywhere as did the ankh which appears in Ancient Egyptian hieroglyphics but also on its own as the symbol of life. It remains today a popular symbol worn by many people throughout the world. Today, outside the Louvre in Paris, there is a rather strange and controversial glass pyramid. It was completed in 1989 proving that even toward the end of the 20th Century interest in Ancient Egypt remained solid at least with the French. In Dan Brown’s 2003 novel, The Da Vinci Code, you will find more than passing mention of this glass edifice. Every now and then the subject of pyramid power arises. Does the very shape of the pyramid evoke forces we have yet to fully understand? Can even sitting under a makeshift pyramid meditating lead to better health? In A Country Practice, an Australian television soap set in a country town in the 1980s, a doctor’s receptionist, Shirley Gilroy (as played by Lorrae Desmond), believed in the healing powers of the pyramid. It was a sort of running joke with always the possibility that it might indeed be true. Mind you, as far as I am concerned, the major benefit, if the is one, to sitting under a makeshift pyramid is the belief factor that it will do you some good. In 1986, just to prove that there was still some excitement to be generated by anything even remotely to do with Ancient Egypt, the band The Bangles had a hit with the song, Walk like an Egyptian. It was a silly, fun bit of business with none of the American girl members of the band coming anywhere close to looking and, for that matter, actually dancing like what an egyptologist might envision how ancient Egyptians dance. Here, of course, the operative word is fun and it is obvious there was no desire to even attempt to get it, let along keep it, real. Sometimes you need to let people have their fantasies and their fun. In 2011 one of my nieces came back from Egypt and presented me with a small glass pyramid from Egypt. It doesn’t date back to ancient times but I do feel good when I look at it. I think this has more to it being a treasured gift than anything else. Mind you it would really be something if it did, in fact, have mystical powers of healing and promoting good health. Well, this particular niece used to walk like an Egyptian before visiting Egypt and, at times, she still walks like an Egyptian. Among present day Australians with an interest in ancient Egypt there is television personality Molly Meldrum. In recent times Molly has shown enthusiasm for Pharaoh Tutankhamun’s story plus the golden age of Pharaohs. As for ancient evil, this is really something that belongs in western fiction beginning in the 1920s and continuing to this day. It started with the belief in the mummy’s curse attributed to disturbing Tutankhamun’s resting place and went from there. Mind you, the old gods of Egypt are rather fierce and not to be casually mucked about with. 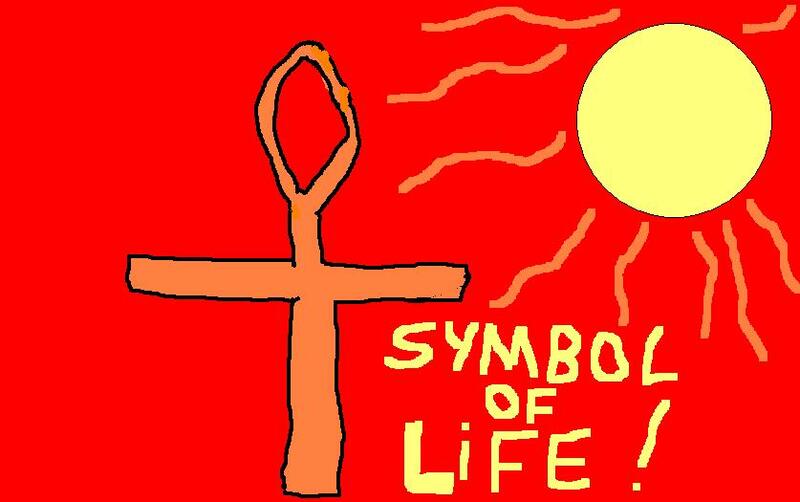 The symbol of Life – Egyptian style! You are currently browsing the archives for the Set in italy category.